Bioinformatics and Computational Biology (BCBio) Undergraduate Major Bioinformatics and computational biology is an interdisciplinary science at the interfaces of the biological, informational and computational sciences. The science focuses on a variety of topics, including gene identification, expression, and evolution; RNA, protein, and genome structure; and molecular and cellular systems and networks. 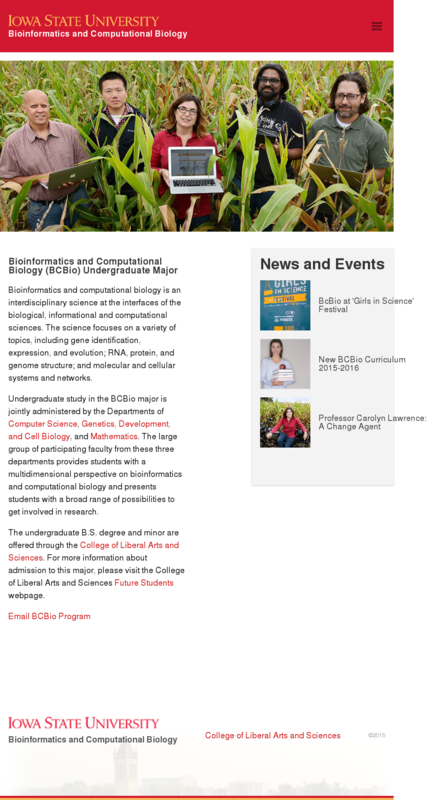 Undergraduate study in the BCBio major is jointly administered by the Departments of Computer Science, Genetics, Development, and Cell Biology, and Mathematics.